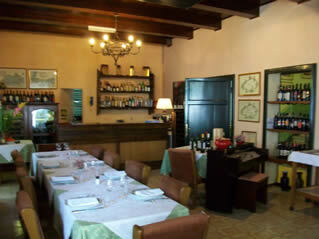 The restaurant at Hotel Alpino is noted for its excellent wine list and wonderful local and Tuscan dishes. Wine is a passion here - the cantina holds delights from both Tuscany (including a good selection of the so-called 'Super-Tuscans') and the rest of Italy. Great care has been taken in adapting the wine list to match whatever dishes happen to be in season, and you will find recommendations to match each course of your meal. Local funghi (mushrooms) in season, crostini Toscani after an old family recipe and good salami, home-made pasta (tortelli, ravioli, fettucine), gnocchi, zuppa Toscana and a good choice of main dishes. All dishes can be paired with a recommendation from the excellent wine cellar - one that has been growing for over forty years and is constantly changing and being added to. 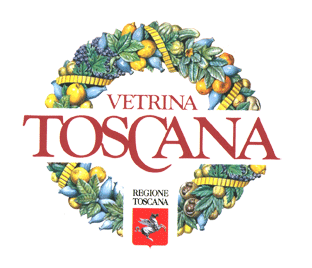 The Restaurant joins the program and events of "Vetrina Toscana a tavola"